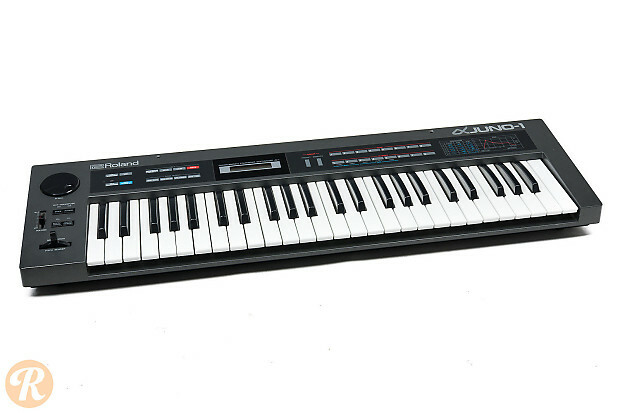 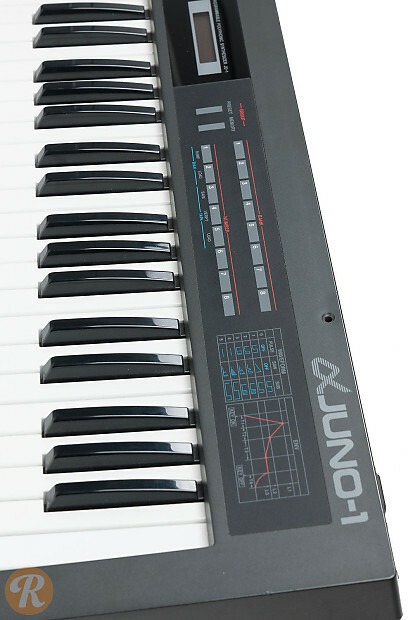 The Roland Alpha Juno 1 is an analog polyphonic synthesizer manufactured between 1985 and 1986. 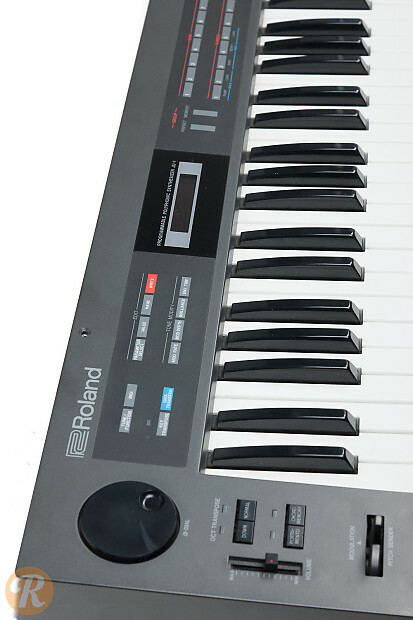 It features one Alpha Dial that controls multiple parameters, as well as MIDI In, Out, and Thru functionality. 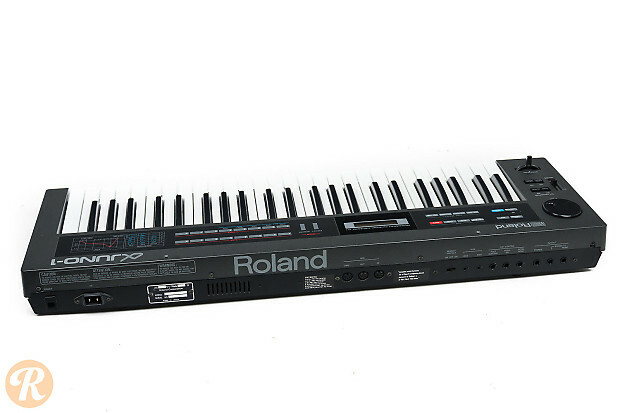 It is well know for its use of digitally controlled oscillators in conjunction with analog filters.